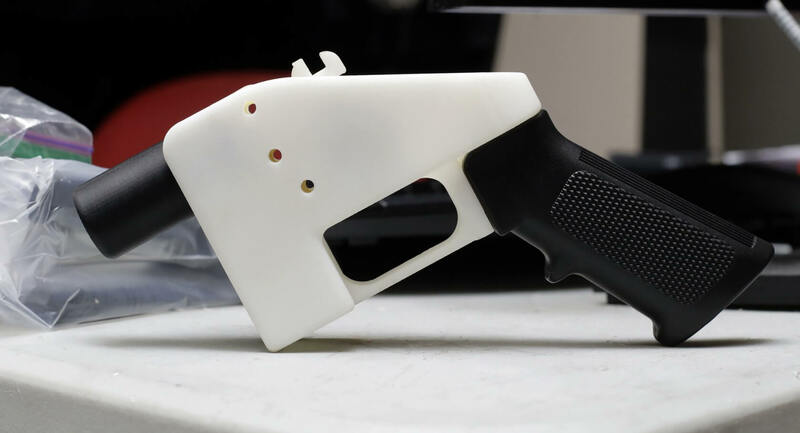 A federal judge in Seattle, Washington has blocked gunmaker Defense Distributed from publishing plans for its 3D-printed guns. The ruling extends a temporary injunction that was issued last month after several states brought suit against the designs’ distribution. The decision prohibits Defense Distributed from releasing its plans until a lawsuit over the issue has been settled. The fight goes back to 2015 when the Department of Justice threatened to prosecute Defense Distributed owner Cody Wilson for distributing 3D printer plans for his pistol the “Liberator.” His lawyers sued the State Department claiming that it was infringing Wilsons First Amendment rights. The government saw the logic in the argument and backed down this year in early July, stating that he was entitled to publish the plans, as long as he did not sell them. However, this decision did not sit well with several states’ attorneys general. Washington state’s AG Bob Ferguson and eight other jurisdictions brought suit against Defense Distributed seeking an injunction to halt the publishing of the gun designs. The original action included Washington, Massachusetts, Connecticut, New Jersey, Pennsylvania, Oregon, Maryland, New York, and Washington DC. Since then eleven more states have signed on to the lawsuit including California, Colorado, Delaware, Hawaii, Illinois, Iowa, Minnesota, North Carolina, Rhode Island, Vermont, and Virginia. The states argue that the Department of Justice did not “follow the correct procedure” in making changes to the US Munitions List when it settled with Defense Distributed. United States District Judge Robert Lasnik ruled today that the argument had merit and extended the preliminary injunction against the distribution of the designs. Defense Distributed attorney Josh Blackman told Bloomberg they would be reviewing the judge’s decision and deciding what options are available moving forward. You can go to home debot, buy a few things and make a shotgun for less than $25 Lets stop making big deals over nothing. You can't un-invent the firearm any more than you can wish away nuclear weapons. A well-maintained gun can last centuries. Here's a crazy idea: let's try addressing the root problems of gun violence, seeing as how it was MUCH easier to obtain a gun just 40 years ago and mass shootings were virtually unheard of. Perhaps we could start focusing on who is teaching our children all this psychotic hate instead of staring at tiny screens 24/7. Maybe our society could start remembering that utopian fantasies don't stop bullets or hateful ideologies. We might even try - and I know this is radical - TALKING to each other frankly and constructively about not only gun violence but the other big issues facing us today. Above all we need to start paying closer attention to the elite ruling class that laughs all the way to the bank as we rip each other apart like primitive tribesmen. Blood in the streets serves their agenda far better than peace and cooperation. I must say that it is good to hear a voice of reason. If you are interested, there's a pdf of the book on the site - for free / whatever you choose to offer if you choose to do so.